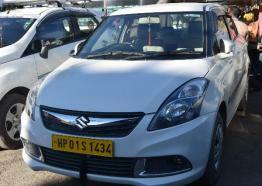 Arrive and meet us our member at the Delhi Airport / Railway Station / Bus Stand. 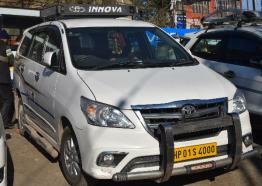 Transferred to Shimla in an exclusive vehicle, enjoy the Scenic Himalayas and stopover at Pinjore Garden and rope-way at Timber Trail Resort if time permits. 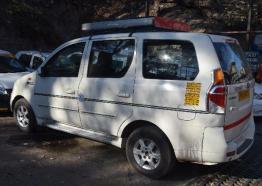 The cab will also pass through Kalka, Parwanoo, Barog and Solan on the way to Shimla. Check in for an overnight stay at your hotel in Shimla. After a delicious Breakfast, visit to the ancient Tara Devi Temple, Sankat Mochan Temple, the Indian Institute of advance Studies, Army Museum, and Jakhoo temple. Evening, free to explore Shimla city on foot as vehicle entry is prohibited. Enjoy visiting Lakkar Bazaar, Ridge, Church, Mall road, Scandal Point, Kali Bari temple etc. Best time to shop and dine at restaurants on the mall road. 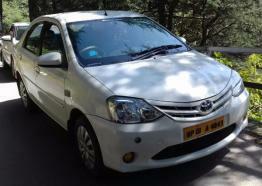 After Breakfast, visit to the famous picnic spots around Shimla including Fagu, Kufri, Naldehra and Mashobra. Enjoy riding at horse / Yak back, see Himalayan national park at Kufri. Take a tour of the apple orchards at Mashobra, Golf course and Jungle walks in Naldehra. The next day, check out from the Hotel & drive to Manali (7-8 Hours), valley of Gods, is a combination of natural splendour and rich cultural heritage. On the way stop a while at Pandoh and Kullu. Rest of the day at leisure. Night stay in Manali. Post breakfast, leave for the full day tour of Rohtang Pass. The mesmerizing view of the melting glaciers and mountains will take your breaths away. Take a sledge ride down the slopes & climbthe little snow hills. On descending to Manali, halt at the Rahalla falls and Solang Valley. The Magnificent views and natural beauty are a never-ending source of delight. Halt at Marhi, Ralha falls, Nehru Kund. Spend an overnight stay in Manali. After breakfast, visit the 450 years old Hadimba Devi Temple built in the tranquil and serene woods, the oldest temple in Manali, Tibetan center & monastery, Club House, Van vihar , Mall Road and Vashisht village, known for its hot Sulphur springs. Spend the night in Manali. Breakfast, Checkout from hotel and go on a full-day excursion of Manikaran in Parvati Valley between the rivers Beas and Parvati, northeast of Bhuntar in the Kullu District of Himachal Pradesh. Situated at an altitude of 1760 m and 45 km away from Kullu, Manikaran is famous of its hot springs and holy Gurudwara. Spend the night at your hotel in Kullu. After breakfast, checkout from Hotel and proceed for Delhi railway station/airport/bus stand. The tour ends here. Shimla is a picturesque hill station, visited by thousands of visitors and tourists every year. Also known as the Queen of the Hill stations, Shimla is a famous location, enveloped by the beautiful landscapes, meadows, river beds, striking lakes & rivers, lush-green fields and apple and apricot orchards. In the past, Shimla was the summer capital of the British India and holds a strong colonial impression with ancient architectural style of Churches. As an extraordinary spot for honeymooners and holiday seekers, Shimla has an altitude of 2200 meters above sea level. Derived its name from Goddess Shyamala, the city of Shimla offers you a great sight of snowfall, during the winter season. Are you interested in taking a tour of Himachal hill stations? 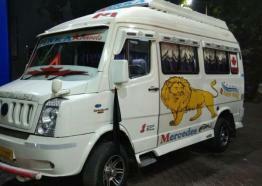 We employ a fleet of luxury and comfortable vehicles suitable for different budgets and pocket sizes. Hire a luxury car rental services on your Himachal travel packages, matching to your tour itinenary from prominent cities of North India.